Change up your yoga routine by taking it to the water. 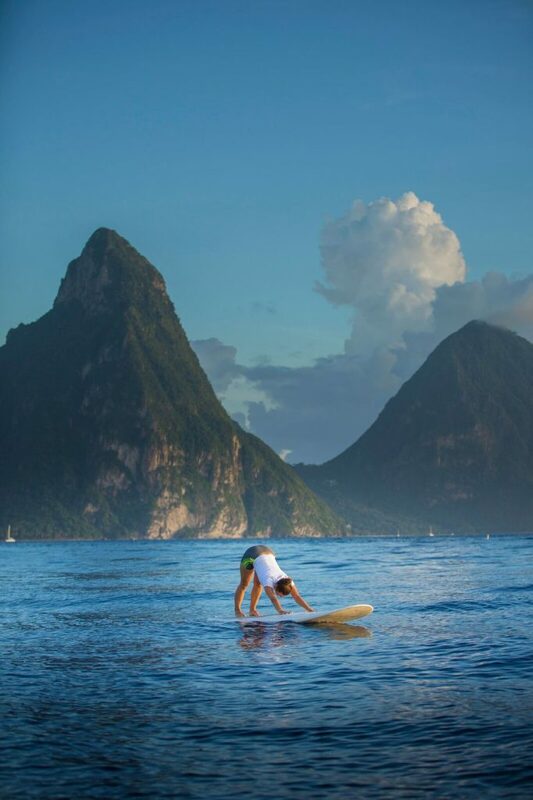 Anse Chastanet now offers stand up paddleboard yoga which will see you take on a new challenge whilst simultaneously basking in the splendor of Anse Chastanet Beach whilst floating upon the tranquil Caribbean Sea. Stand up paddleboard yoga is asanas (yoga poses) practiced on the paddleboard in the most serene setting you can imagine. Moving to the water adds a whole new dimension to your practice, on the water you have no choice but to be present and focused. Your mind has no desire to wonder off to other thoughts about the past or the future. You can let go of your expectations and judgments with your mind focused on of the foundations in yoga. It’s a fun practice with some major benefits, for the mind as well as the body, and the best part is if it gets to hot, then a cooling dip in the sea is not far. The class is offered by resident yoga instructor Laura who has been practicing yoga and meditation since she was a teen. She always adapts every class so it is relaxing, meditative, energizing and breaks down challenging asanas so they are accessible but still fun for every level, from beginner to advanced, whether it’s on land or on a Paddle Board. Both group and private classes are available. 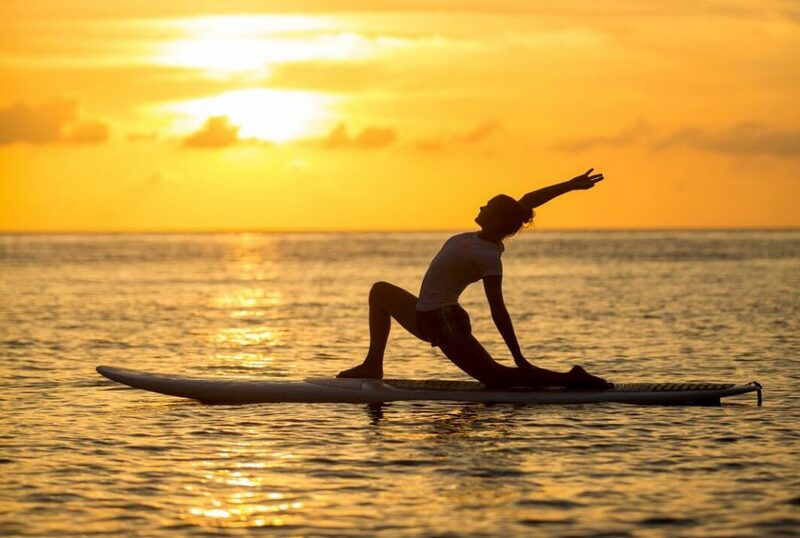 The resort also offers a complimentary paddle board yoga demonstration every Tuesday from 12:15 p.m.